The algae blooms in and around Lake Okeechobee have developed into an environmental crisis, especially along the St. Lucie and Caloosahatchee Rivers. Both short and long-term solutions are needed. Florida’s governor and cabinet have neglected this issue for decades and it’s time that Florida has a Commissioner of Agriculture and Consumer Services who will tackle the problem head on to make it right. I’ll work with the federal government, the governor and the state legislature to once and for all fund the Comprehensive Everglades Restoration Plan (CERP). Our state needs to expand Florida’s successful Farm-To-School programs, and I will lobby the Florida Legislature to bring more funding to this critical program. It must be our priority to make sure that every meal served in our schools is fresh, nutritious and healthy. This will guarantee that our students get the nutrients they need to excel in the classroom. It’s also a fantastic way for kids to learn about the incredible agriculture community in Florida and to help boost the industry by buying directly from local producers. Many people living in low-income areas have no access to fresh food because there are no grocery stores in their neighborhoods. The only food to which they have convenient access comes from corner stores, bodegas and fast food restaurants. That is unacceptable. My administration will work with supermarket chains to encourage and incentivize the opening of retail stores which serve all residents of our state. My staff and I will do the same thing locally by offering producers who participate in farmers markets in low-income areas a reward for doing so. Access to fresh water will be one of the biggest issues Florida will face this century. It is the duty of the Commissioner of Agriculture and Consumer Services to enact best management practices to ensure that water conservation is prioritized. My administration will make sure that our residents and the agriculture community have access to safe water for drinking and for industrial purposes. This office will work closely with the Department of Environmental Protection on the enforcement of pollution standards in order to do so. 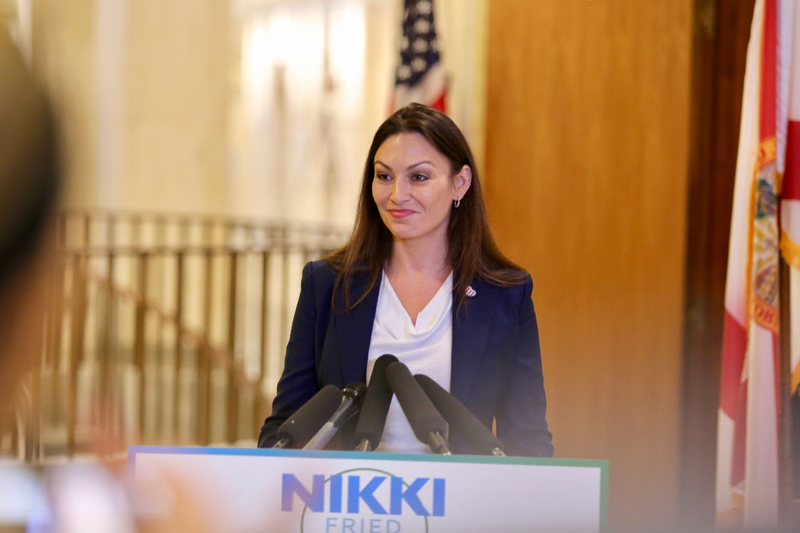 Vote for Nikki! To support her campaign, please contribute and get involved.